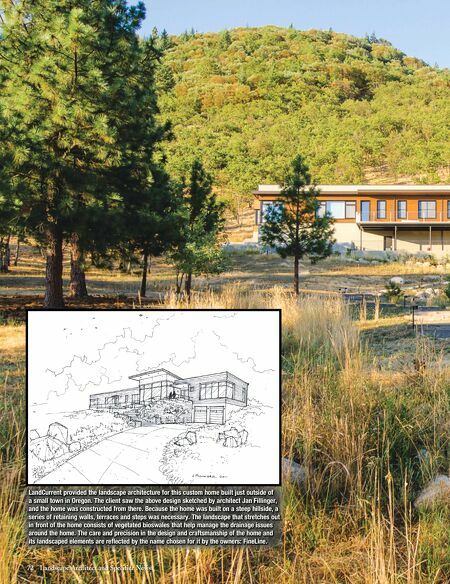 72 Landscape Architect and Specifier News LandCurrent provided the landscape architecture for this custom home built just outside of a small town in Oregon. The client saw the above design sketched by architect Jan Fillinger, and the home was constructed from there. Because the home was built on a steep hillside, a series of retaining walls, terraces and steps was necessary. The landscape that stretches out in front of the home consists of vegetated bioswales that help manage the drainage issues around the home. 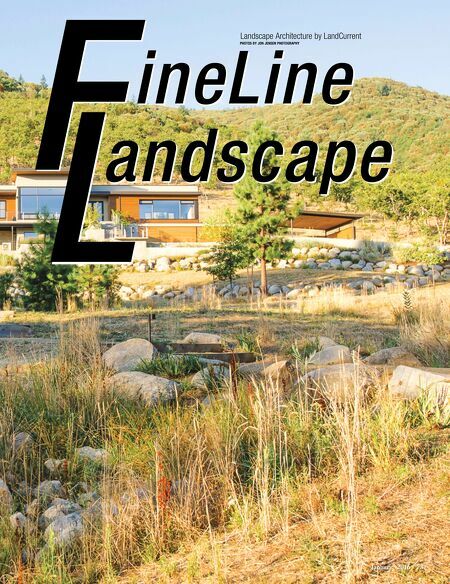 The care and precision in the design and craftsmanship of the home and its landscaped elements are reflected by the name chosen for it by the owners: FineLine.